When it comes to St. Jude Children’s Research Hospital®, you don’t have to fly, have superhuman strength or have laser vision to be a Hero. 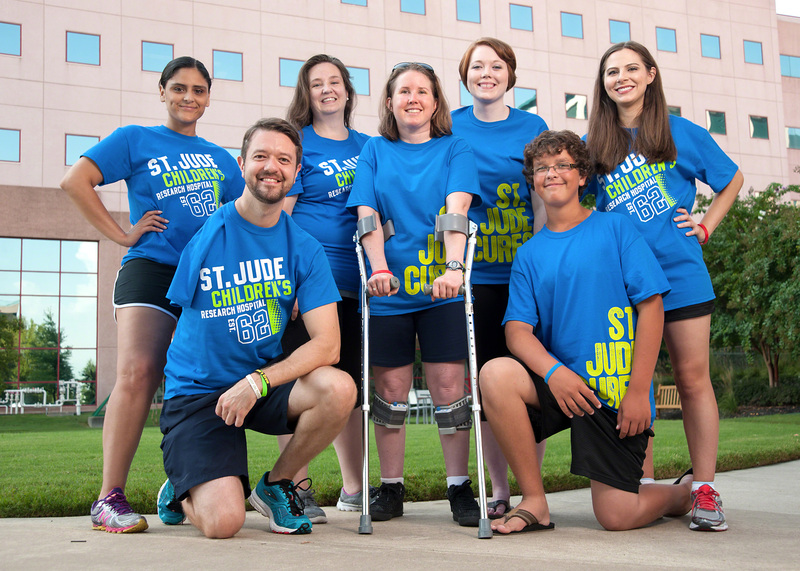 St. Jude Heroes are an exclusive group of dedicated athletes committed to running for a reason—raising funds and awareness to support the lifesaving mission of St. Jude Children's Research Hospital. St. Jude Heroes receive fundraising tools and support, along with event-specific benefits. More importantly, they help kids diagnosed with cancer and other life-threatening diseases. Thanks to dedicated St. Jude Heroes and other supporters, families never receive a bill from St. Jude for treatment, travel, housing or food — because all a family should worry about is helping their child live. St. Jude Children’s Research Hospital founder Danny Thomas once said, “Success has nothing to do with what you gain in life or accomplish for yourself. It's what you do for others.” This statement couldn’t be more accurate of St. Jude Heroes. From triathlons, marathons, half marathons, 5Ks, relays, family fun runs and more, there are many opportunities to participate as a St. Jude Hero throughout the country. One of the biggest events is the St. Jude Rock ‘n’ Roll Nashville Marathon on Saturday, April 30. The event welcomes about 30,000 participants and weekend festivities including a marathon, half marathon, 5K and concert. The races will take place in the heart of downtown Nashville, featuring live bands, cheer teams and high-energy volunteer groups lining the entire course route, as well as a post-race festival and finish line concert. To register as a St. Jude Hero for the St. Jude Rock ‘n’ Roll Nashville Marathon, click here. 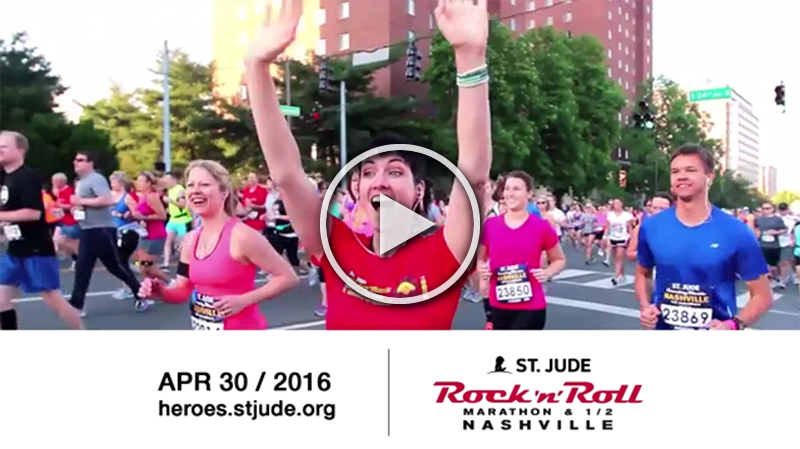 If you’re already registered to run in the St. Jude Rock ‘n’ Roll Nashville race and want to upgrade your registration to become a St. Jude Hero, click here. 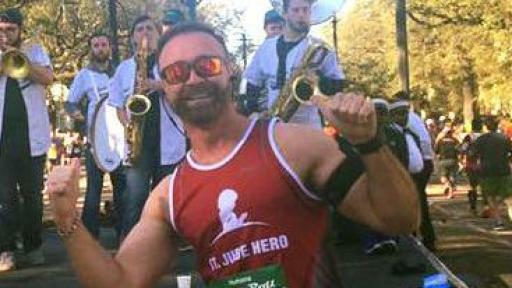 The devoted individuals below are just a handful of the thousands of incredible St. Jude Heroes throughout the United States who have chosen to run for a reason. Their stories are heartwarming, inspiring and exemplify what it means to be a St. Jude Hero. Email stjudeheroes@stjude.org or call (800) 608-2936 with questions about how to become or support a St. Jude Hero. View a list of featured events or find and register for a race near you. 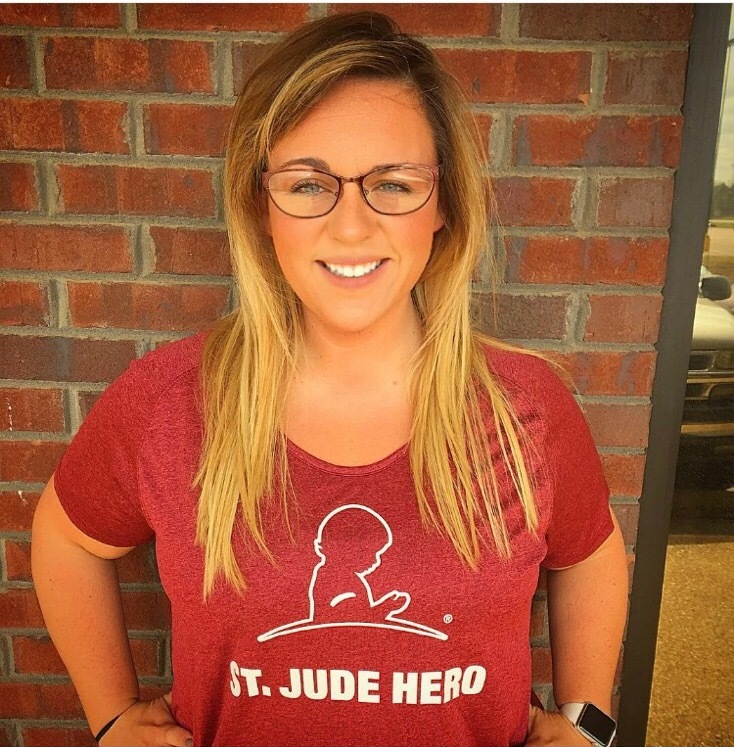 When she learned of a boy in her hometown facing osteosarcoma, Manda was deeply moved and inspired to start her own team of St. Jude Heroes, Team Chase, for last year’s St. Jude Rock ‘n’ Roll Nashville Marathon. The Mississippi native and her team held a variety of successful fundraising events, so it was no surprise they ran into each other at the Pasta Party, where she was named top individual fundraiser for last year’s race! 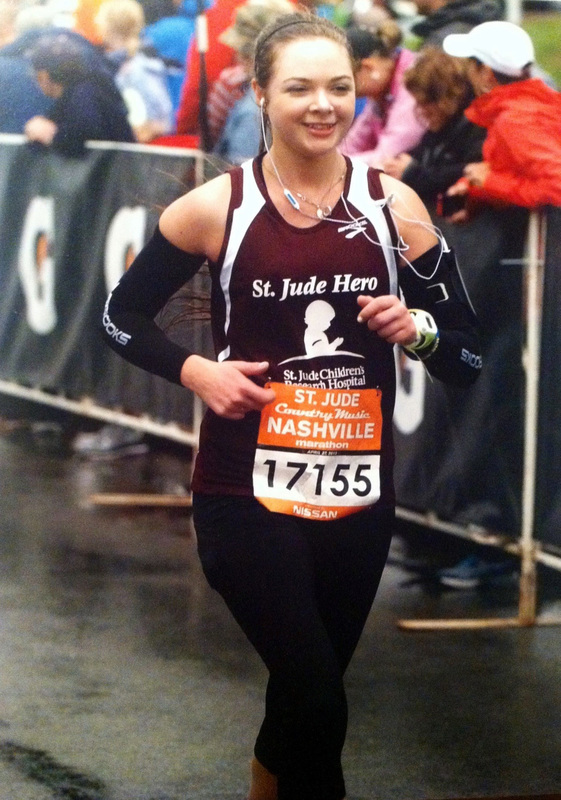 Manda continues to fundraise and plans to run in this year’s St. Jude Rock ‘n’ Roll Nashville Half Marathon. Follow Manda’s fundraising progress for the St. Jude Rock ‘n’ Roll Nashville Half Marathon by clicking here. Kyllian runs in memory of her father’s battle with cancer. 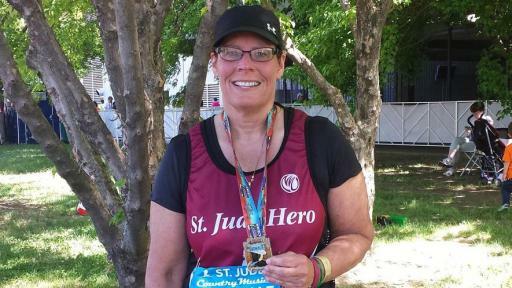 She trains as a St. Jude Hero for every marathon she runs, giving her the opportunity to use her running for a greater good. 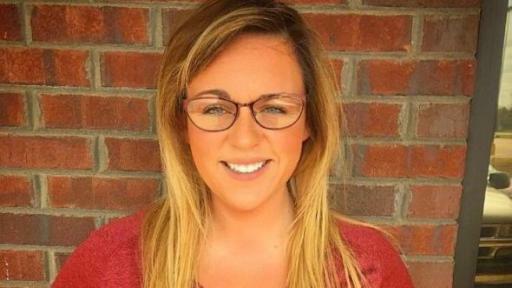 She has already completed 15 marathons, raised more than $100,000 for the hospital and was even named the recipient of the 2014 Hero Among Us Award for the St. Jude Memphis Marathon. 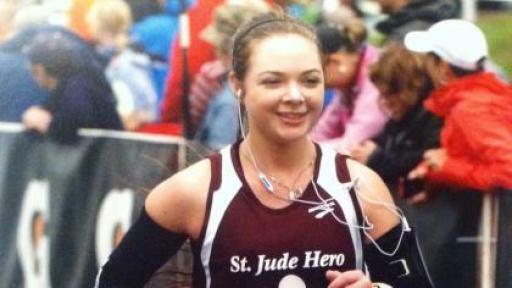 Kyllian says running has helped heal her, and as a St. Jude Hero, she’s using her running to help heal others. Read more about Kyllian’s compelling story here. After donating in 2010 to the fundraising efforts of a friend running as a St. Jude Hero and receiving a heartfelt thank you note, Sue committed to fundraising and running as a St. Jude Hero if the opportunity arose. The next year, that opportunity took shape in the form of the St. Jude Rock ‘n’ Roll Nashville Half Marathon. Though she originally set her fundraising goal at $750, Sue went on to raise $6,475 for St. Jude that year. Through her persistent fundraising efforts, Sue has raised more than $59,000 in four years, not including her goal of $25,000 for 2016. Read more about Sue’s fundraising adventures by clicking here. 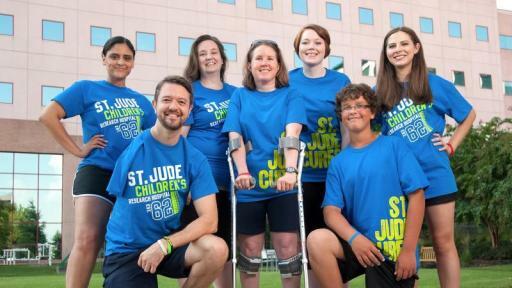 This isn’t just any team of St. Jude Heroes – these Heroes also are childhood cancer survivors! This fundraising team of former St. Jude patients was formed in 2010 by bone cancer survivor and St. Jude patient, Gabby. Since then, the group raises funds and participates in races annually. Not even cancer could stop these driven individuals! You can read more about this exciting group of St. Jude Heroes by clicking here. 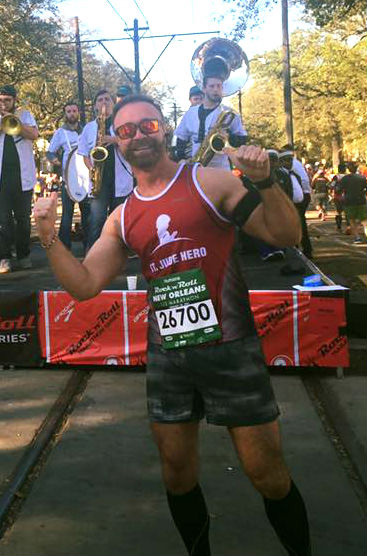 California native Aaron Kessinger ran his first half marathon as a St. Jude Hero in February 2016 at the Humana Rock ‘n’ Roll New Orleans Marathon. An employee of Humana Vitality, Aaron knew that he wanted to run for a reason by fundraising for a charity in the New Orleans race. When it came time to choose his charity, he was inspired by a friend’s son who was a patient at St. Jude Children’s Research Hospital. Through his fundraising efforts, Aaron surpassed his fundraising goal by raising more than $10,000. Aaron has since made the decision to continue fundraising as a St. Jude Hero, and plans to run in the Disneyland Half Marathon in September 2016. You can support Aaron’s fundraising efforts for his next race by clicking here.